Genre-spanning dance-pop outfit Rubblebucket are known for their upbeat, party-starting live shows. And they’re keeping it local this weekend when they double down at Brooklyn Bowl on Friday and Saturday. But before they get here, frontwoman and saxophonist Kalmia Traver spoke to Knockdown Alley about her future and past. If you could perform live with a symphony orchestra, big band, or choir, which would you choose? Somewhere in our subconscious we wanted to be Sun Ra Arkestra and still do. I wish I could have played a show on a roof with those guys back in the days they were zooming to outer space and back. Also I think Rubblebucket with Kronos Quartet and a percussion section could be amazing, à la their album Nuevo (one of my favorite things to listen to of all time). If the band could have a spirit animal, what would it be? Chupacabra! How would you explain your sound to someone who has never heard your music before? I try to do that all the time and always fail. Usually I wave my hands in the air and say, “It makes you dance, it’s a party, there’s horns, I sing, there’s a confetti cannon, and sometimes there are giant puppets!” And people nod knowingly. Looking back on your childhood, is there anything you would go back and tell yourself while in middle school? I’ve pondered this question: I would want my middle school self to know that she’s about to have a lifetime where boredom is never a factor. That lil’ me was afraid of boredom. I want her to know this: It’s a nonissue if you go for your dreams. There’ll always be too much to do, and if you take it step by step, you’ll always be thoroughly entertained. Do you have any New Year’s resolutions this year? No, instead of New Year’s resolutions, I name my years. Last year was the Year of the Banana. I’m kind of sad it’s over because it was amazing. The year before that was Year of the Wave. I don’t know what this year is yet. It’s a mystery. I let it come to me over the first couple of months, and then I live it out. What is your favorite Ben & Jerry’s flavor? 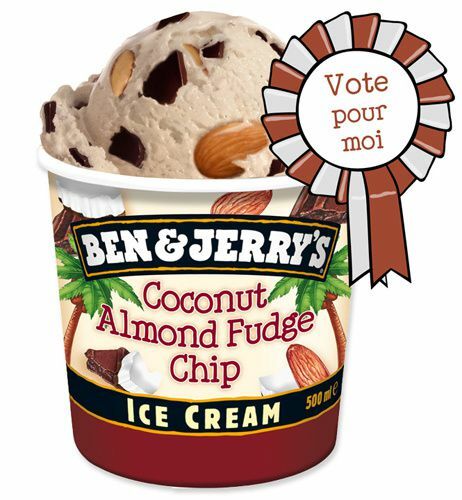 Coconut Almond Fudge Chip, wait, did you seriously just ask me that? Is it because I’m from Vermont? I’m laughing at how fast I knew the answer. Although I can’t eat ice cream anymore because of my “Don’t Die-t,” which is strict and amazing and makes me much happier than I’ve ever been since the pure Zen of childhood. Alex eats close to a pint of off-brand chocolate-chocolate chip almost every night when we’re at home. My mom was in the movie they show in the Ben & Jerry’s factory tour for many years. She still might be, I haven’t checked in a while. If you could collaborate with any horn player, dead or alive, who would it be and in what capacity? I’ve had the pleasure of meeting and taking a lesson from power being and saxophonist Matana Roberts, but I would love to collab with her for real sometime, if she would ever have me. Also to just stand next to Wayne Shorter would be a singularly important moment of my life. The pain and sheer massive force of mystery that come through his playing have staggered me more than lots of other art. I saw Ornette play when I was 11, and if this offer were real, I would definitely love to take a lesson in freedom (saxophone) from Ornette. Sorry, that’s three. How would you advise people to follow their dream? See No. 4 and everyone needs to follow their dreams. It’s imperative these days. I think it’s not a question of how — the how comes once you commit. The commitment comes once you make an internal agreement with yourself to find the intersection of your own strongest skill and what the world might need to order be a place you’d rather inhabit. Everyone has that unique intersection. Then you just invent one little achievable step, take it, observe how the world is different, and decide weather to invent a new step or take another similar step, and then repeat that process, over and over forever. It works. The world gets different. It’s crazy! ← These Are The Best Moments From Erykah Badu’s Reddit AMA!